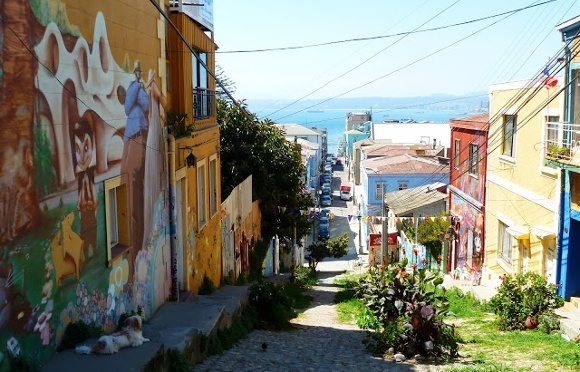 Considered the ‘San Francisco of South America’, Chile’s quirky port city of Valparaíso or as locals like to call it – ‘Valpo’, is alive with avant garde culture and home to a thriving graffiti street art scene. Discover this gem on your Chile trip. Listed a UNESCO World Heritage center in 2003, Chile has seen a type of urban and artistic revival with art works cloaked over almost everything – from the iconic funicular railways (a cable railway ascending/descending a mountain) to the hillside streets. 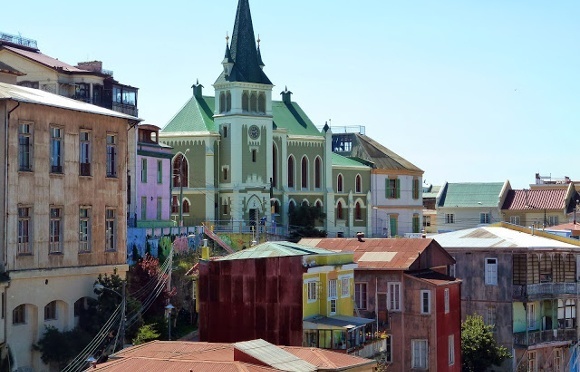 With the Chilean capital of Santiago a mere two hours away, Valparaíso lies scattered along a number of hillsides steeply rising as if from the ocean to the foothills. Undulating streets with colorful houses are packed row-upon-row, forming a sort of natural amphitheater. Some streets are so steep, that pedestrians require stairways to get downhill, and so Valparaíso’s streets are peppered with stairways. 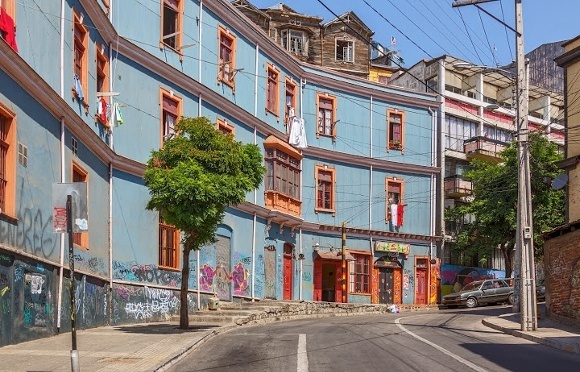 While Santiago is all about government and business, at first glance Valparaíso appears more happy-go-lucky with its artistic vibe and slightly crumbling feel with its aged grand architecture. 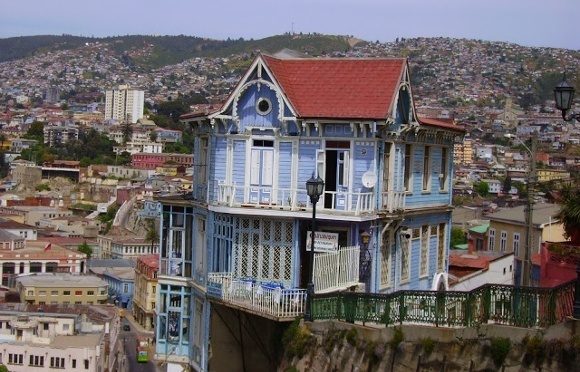 Chilean artists, writers and musicians have long made Valparaíso city their home, drawn to its picturesque location, unique scenery and bohemian culture. 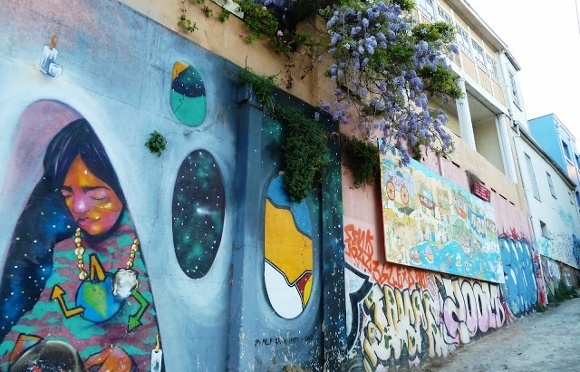 Several local and world artists have taken inspiration from Valparaíso – Nobel prize-winning poet Pablo Neruda, painter Camilo Mori and street artist Charquipunk are just a few. Supported by the local government and businesses, Valparaíso’s street art is heavily appreciated, where the ingenious juxtaposition of the real with the whimsical thrives. Graffiti art found on rundown buildings and overgrown stairwells is an honorable art form – capricious, beautiful, charming and imaginative. 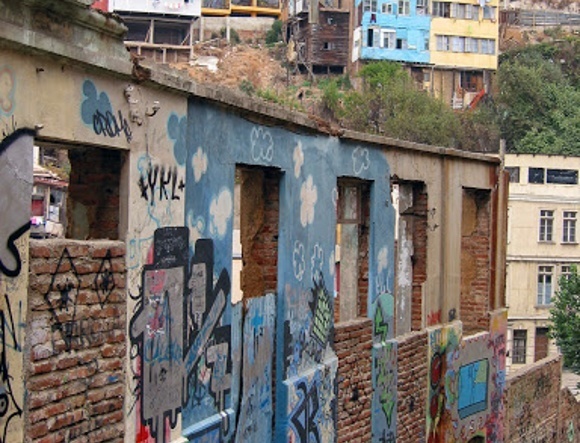 Street art rules in Valparaíso, and real action can be found on the streets over the city’s cerros (hills). Cerro Alegre and Cerro Concepción are the most guest-friendly hillsides of Valparaíso. Winding steeply upwards from the waterfront, neighboring barrios house several restaurants, bars, hotels and galleries, stashed discreetly on cobbled-line streets fringed with clapboard houses in a kaleidoscopic of changing colors. 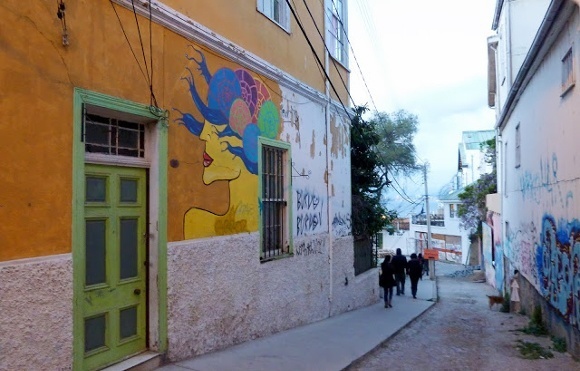 Valparaíso’s rather characteristic, bohemian, pure, artistic, and persuasive aura exudes a dawdling atmosphere of the place, favorably weaving its way through an urban resurgence. 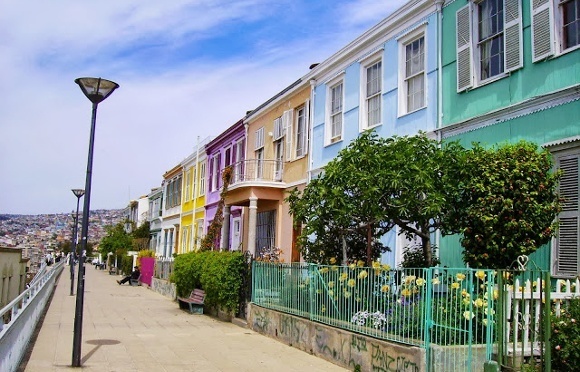 A great way to appreciate and educate yourself on Valparaíso’s public art scene is to take a walking tour of the city.